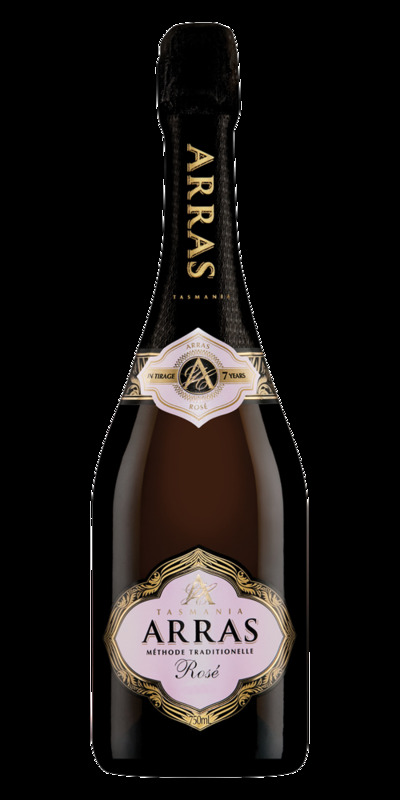 The Arras Rosé displays enticing aromas of fresh red berry fruits, married to the complexity of extended tirage maturation; along with brioche like yeast, nougat and exotic spices. The palate is rich, yet structurally elegant with immense complexity and persistence. Savoury characters mingle with nuances of ripe strawberries and cream on the low dosage palate, and are held together by the fine acid backbone. This wine exhibits great persistence with a sublime refreshing finish.